The new Charming Charlie X Style Watch collection is so perfect for fall! 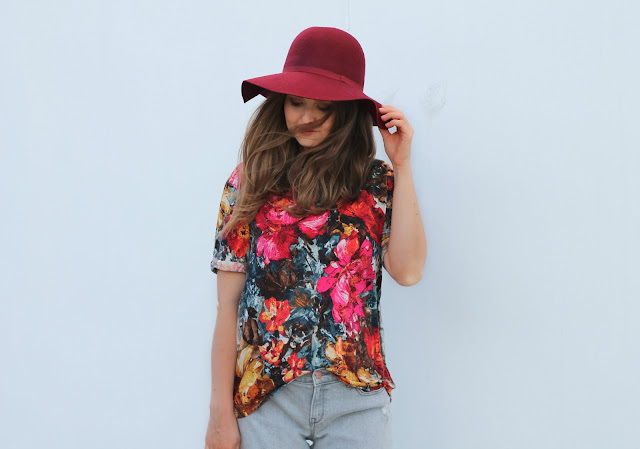 I love this maroon hat and have already planned a million outfits to wear it with this fall! This navy bag comes with shoulder straps so it can be worn as a cross-body bag and it even has a little bag on the inside that I love to keep my makeup in. For only $35, this bag is a total steal and can be worn year round. I hope you all check out the new Charming Charlie X Style Watch collection and have an amazing Monday! I love those jeans! Perfectly slouchy!